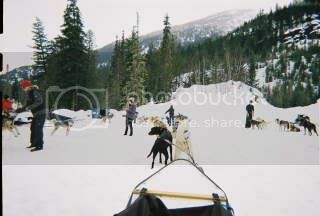 Just returned from BC-Canada & a 4day Holiday spent mushing dogs. 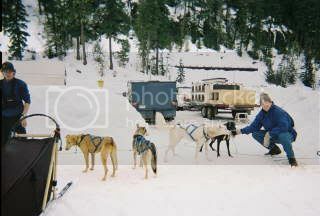 These were Racing Alaskan Huskies-Husky, greyhound/saluki, GSP crosses mostly. Some houndy, some husky like with 1 common denominator-they can run their asses off & pound for pound are the strongest draft animals alive. It ranks up there as 1 of the best experiences Ive Ever had! If anyone gets a chance, Do it! Running dogs quietly through the Canadian Rockies & taking it all in is just amazing. I have pics but need to develop & scan them(cheapo camera) from store as digital left at home. I learned quite a bit about breeding, racing etc and came away with a good understanding of the sport & love. Basically the GSPs used offer tight coat, & speed & are better in warmer mushing. But GSPs too often run too hard the 1st day or so and dont pace well, whereas the huskies offer that in contrast. So the cross is made. Grey/Saluki gives great flat out speed. This weekend I had my first experience ski joring with my Griff. Not that intentional but while skate skiing we got close to the road and since loose dogs aren't really allowed I hooked her up. Man could she pull me. There will be more of that in our future. Where in BC were you? 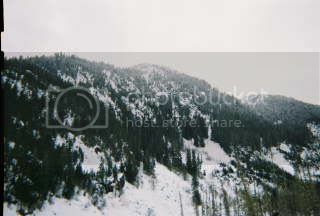 Whistler/Blackcomb, winter Olympics in 2010. The Mushing was the coolest thing Ive done. I used to harness my shepherds but this was a bit different! Not big on WHOA! but otherwise were nice, fast, pack animals. I ran 6 dogs and they could boogie, nice trot gait that they can carry for about 100 miles/day. They carried 2 of us (500lbs)w/sled easily up & down hill & in tough wintery conditions. 45-55lbs tops-Running is their love. Whistler is about the most gorgeous place on earth and the Canadian people were among the most friendly Ive ever met. I came away very impressed: laid back, well informed, & beer loving! I will go back in the Summer to fish/mountain bike & hike-amazing the bears in town. Sounds like a blast Bill....I would love to do the same one of these days. Beautiful land up there...awsome views and fresh air! Tell me what you learned about the lead dog(s)...I've always wondered about how they choose. Did you get a chance to take any pic's? I am sure we would all love to see some! Ill have pics by tomorrow..
Shrimp-we ran tandem dogs-no lead. They are run mixed pairs to prevent fights, no dogs are spayed so there is "tension". The owner had 291 dogs, pretty big operation. The endurance is just incredible. Easily do 100+ Miles day after day after day. But the lead dogs, whether paired or alone, are very important. They set the pace for your team, are expected to "steer" whether right/left or brake. The pace is important, luckily I had great dogs, others were being swapped frequently-to get the right flow. Usually the stronger dogs are in Back or Wheel postition. Best part was the serenity. 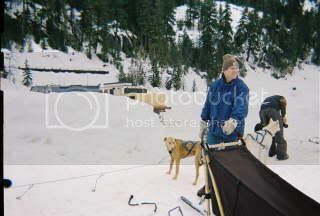 Just ultra quiet, taking in huge mountains, along some streams & Beaver ponds, crusing at a nice clip with some happy dogs doing what they were bred for..
Notice the greyhound and pointer throwback in these huskies. Last one is my beast, whoad on a cat. Had to throw that in! we have been racing our dogs for over 14 years. Started with Siberian Huskies (of course) now race our GWP's. 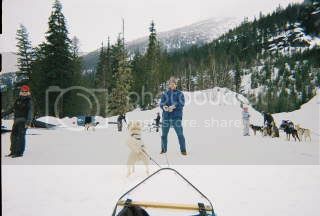 Great fun and the dogs just love it ..... we run on snow and land so have the best of both worlds. 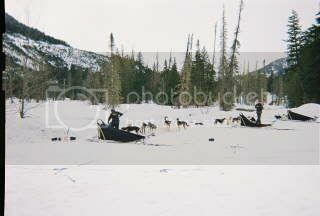 There are a few oics on my website under sleddog racing. Adding some more in the near future.